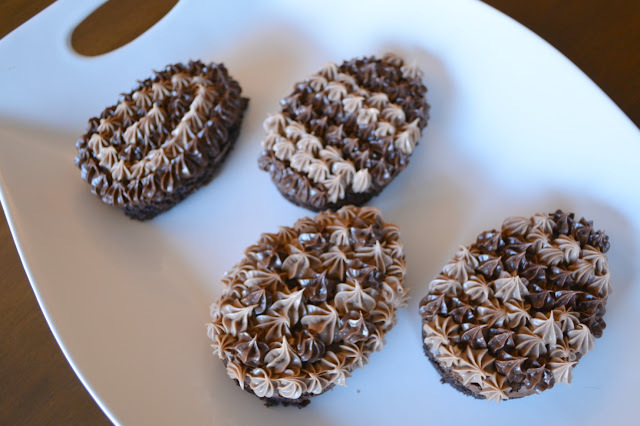 This year for Easter I wanted to decorate eggs and make a fun dessert - I didn't have time to do both so I compromised! 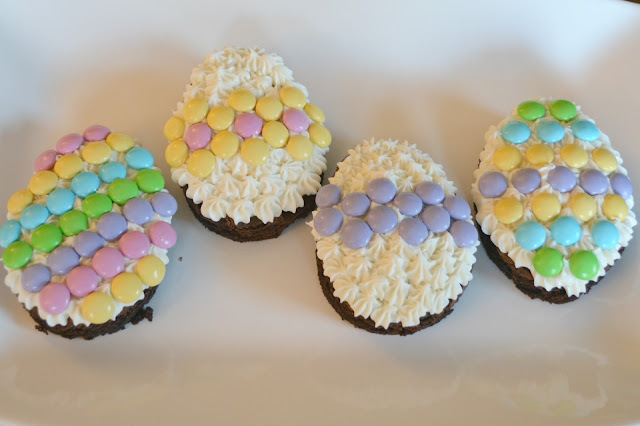 I made egg shaped brownies and decorated those! I guess you could say I got my "cake" and ate it too! First, I baked a sheet of brownies per the instructions. As soon as they came out of the oven, I used the thick cookie cutter to cut the brownies into the egg shape and allowed them to cool. I wanted to cut the brownies before they cooled all the way so they wouldn't get too flaky before trying to cut. Then, I removed the brownies from the pan by removing the surrounding brownie and using a spatula to lift out each egg. 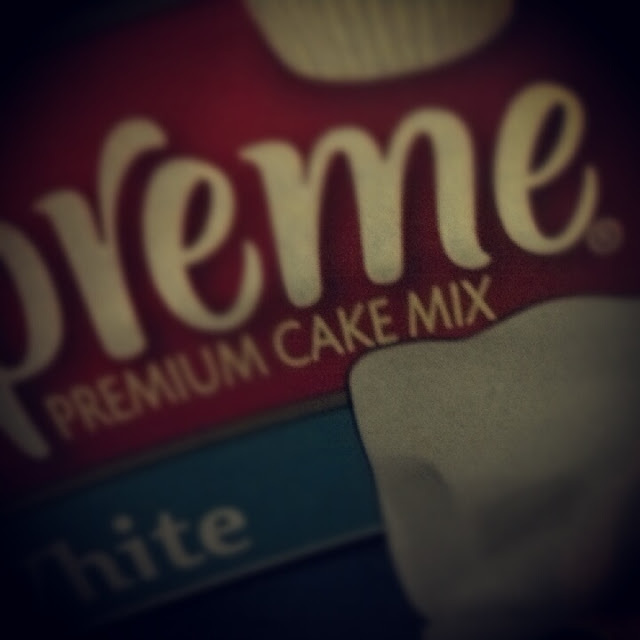 Next, I iced the brownies using vanilla icing. Decorating time! I used the M&M's to decorate shapes and patterns to create fun Easter Eggs! 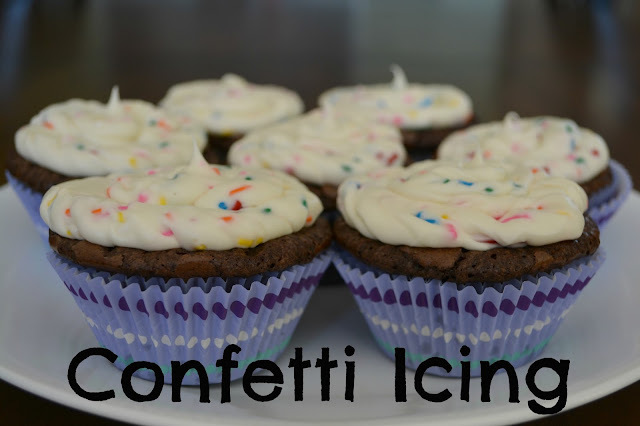 This dessert would be a great activity for older kids as well! 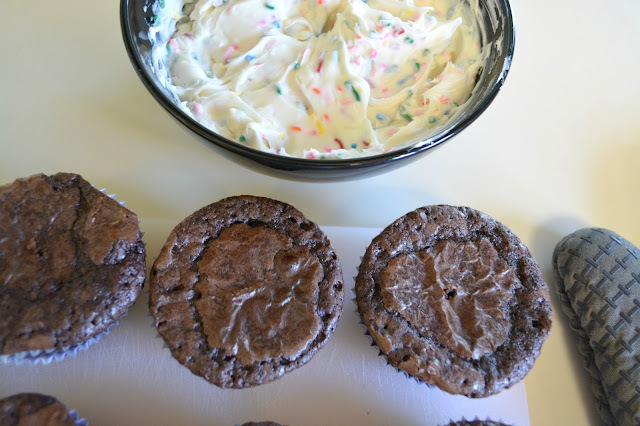 Try different candy, or different colored icing - mix it up! 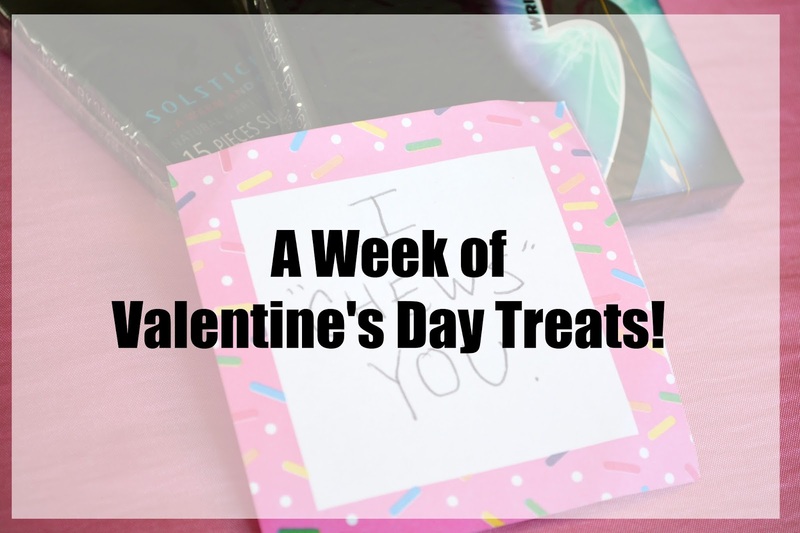 but I have two AWESOME recipes that use cake mix to make cookies and brownies! 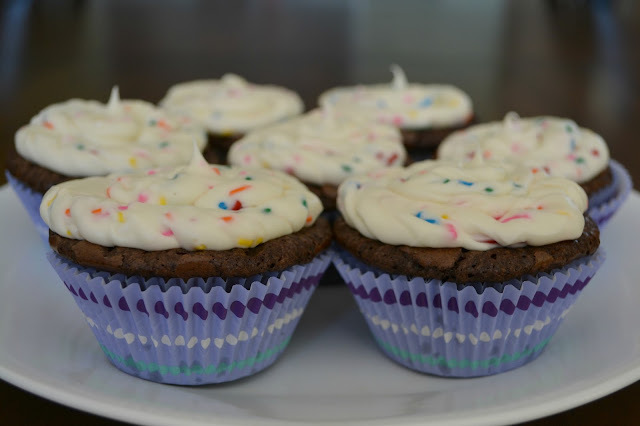 This little trick is useful for an impromptu get together if you need desserts in a jiffy and just have cake mix in a cupboard (or if you just want a delicious snack). 2. Grease pan and then press thick batter into pan. 3. Bake at 350 degrees for 20 - 25 minutes. 2. Place dough balls onto ungreased cookie sheet. 3. Bake at 320 degrees for 10 - 12 minutes. 5. Add icing for a cake mix cookie sandwich! Taco Tuesdays are a regular occurrence in our house, but sometimes the quick dinner turns into throwing the bag of nachos onto the table, opening the bag of cheese, and dipping straight into the salsa jar. Have you ever fallen into a dinner rut? Not every night can be a fancy soiree, but you can change your dinners from good to great with just a few tips! Keep the meal easy, it doesn't have to be a seven course meal! 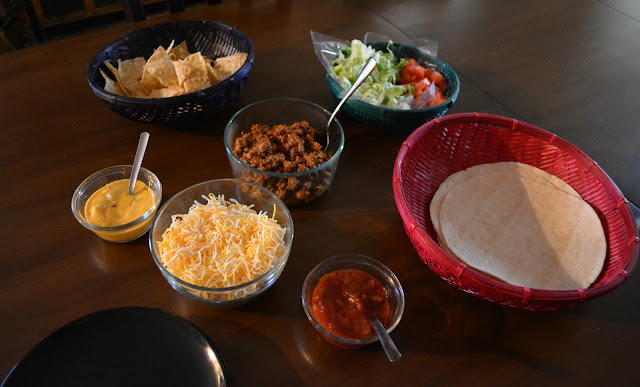 Buy pre-packaged soft taco shells, queso dip, shredded cheese, and salsa, leave the homemade stuff for a big Fiesta! Cook up some ground beef/turkey or refried beans - whatever your family prefers. Chop up some lettuce and tomatoes (or even buy them at the store pre-cut!) Preparation should only take about 20 minutes! The easiest way to turn your good meal into a great one is to leave the bags in the kitchen and put your food into REAL dishes! Yes, you'll have a few more dishes to clean, but the increased loading of the dish washer is worth the great dinner experience! 3. Turn on some music! Music is an easy way to turn a boring meal time into a enjoyable experience - think about it - all your favorite restaurants have music playing in the background. Get in the mood of your Mexican flavored dinner by turning on your Pandora - try a mariachi music channel! Or if that's a little too much Taco Tuesday for you, turn on some back ground music of your choice. Your dinner time is a time to enjoy! 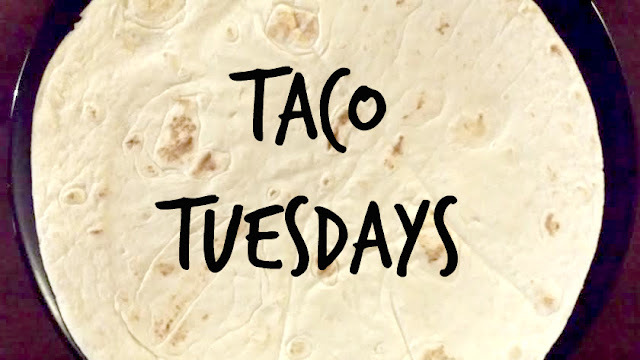 How do you turn your Taco Tuesdays from good to great?! Do you have any tricks to make simple dinners into moments to enjoy? Biscotti is a delicious Italian biscuit cookie that is usually served aside a cup of cappuccino or espresso. 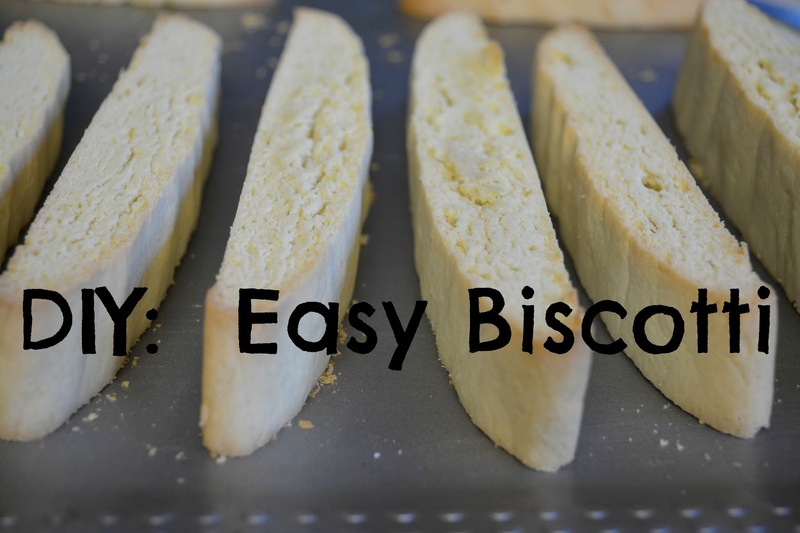 Some people think that because biscotti is double baked that it is a difficult recipe to make. My mom gave me her recipe for biscotti and I'm here to tell you it's really simple! This recipe is for my favorite large, soft, and sweet biscotti; perfect for cappuccino dipping or with a touch of chocolate! First, gather all your ingredients! I suggest actually taking an inventory of your materials prior to starting any mixing as this recipe does use an abnormal amount of butter and eggs! You wouldn't want to run out! To begin, cream together the butter and sugar. 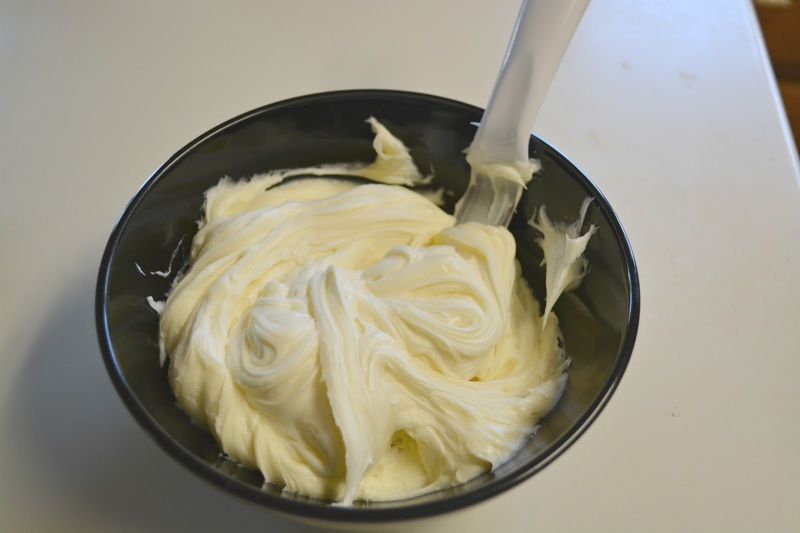 If your butter came straight form the fridge, let it sit at room temperature for a while, or sit it in the microwave for about 10 - 15 seconds - don't melt it! Then, add your eggs and extracts. 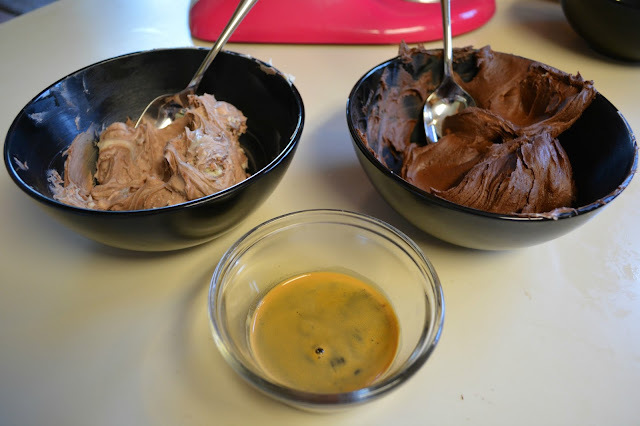 Once the eggs and extracts are fully mixed, add the dry ingredients. 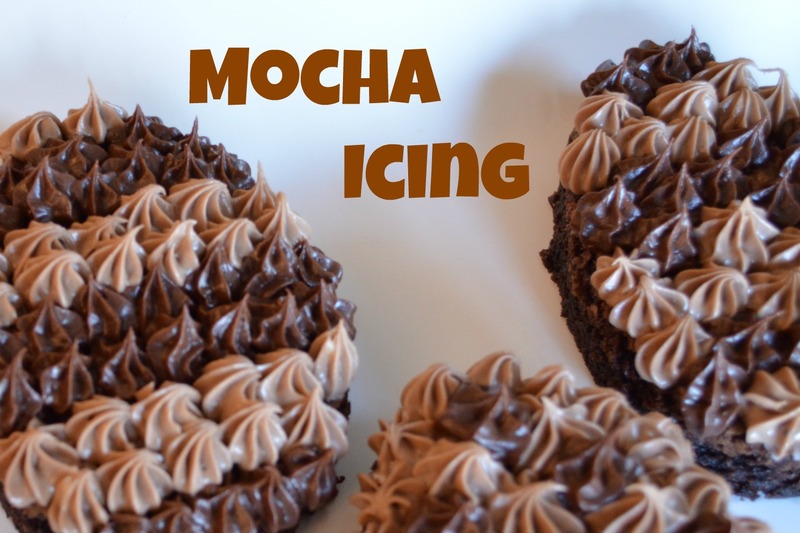 I use my electric mixer, but I have made this recipe with a hand-held mixer and once by hand! Mix the ingredients with what you have or feel most comfortable using! Once dough has formed, knead and divide recipe into two. Take two lightly (and I meant LIGHTLY) greased cookie sheets and form two logs. I like my biscotti long and thin, so I form my logs as wide and short! You can form your logs however you best like your biscotti! Bake the two logs at 350 degrees for 25 to 30 minutes. Once they have baked, pull them out and cut them into slices. This is the point that you decide how big you end result is going to be! Slice the logs and turn each slice onto it's side. Put the slices back in the oven until toasted (approximately 5 - 10 minutes). Tada! In under an hour - you have your very own, homemade Biscotti! 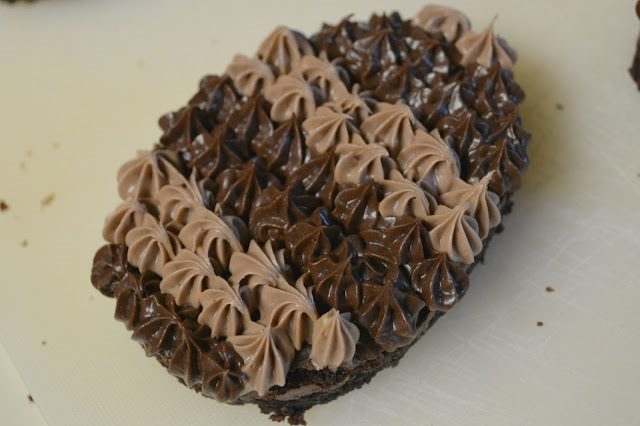 Now make yourself a cup of coffee, latte or cappuccino and enjoy your delicious treat! 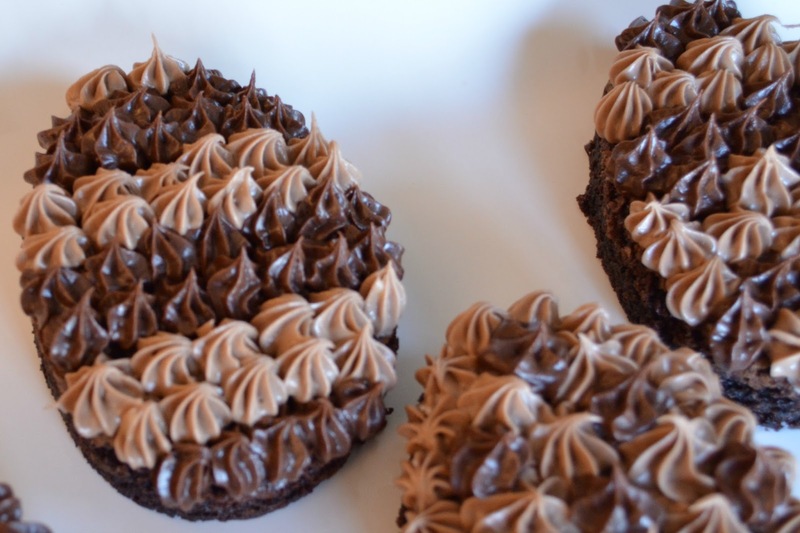 I love to experiment in the kitchen and try interesting recipes! However, when I found a recipe I liked, I had a hard time finding it the next time I wanted to use it! 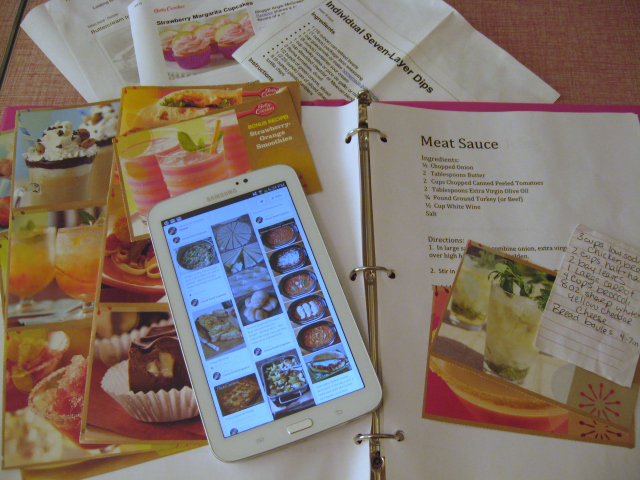 I was using a binder, random scrap pieces of paper, torn off backs of ingredient boxes, and pinterest to hold my recipes. Can we say mess? 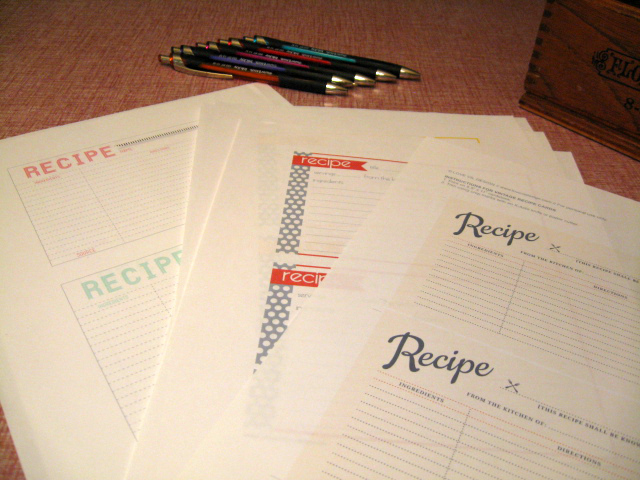 To organize my favorite go-to recipes I decided to use an old school approach - recipe cards. To start my new organization tactic, I found a box that some 4x6 note cards would fit in easily. I had a fancy cigar box, but you could use a small shoe box, gift box, food container, or go out and buy a brand new one! 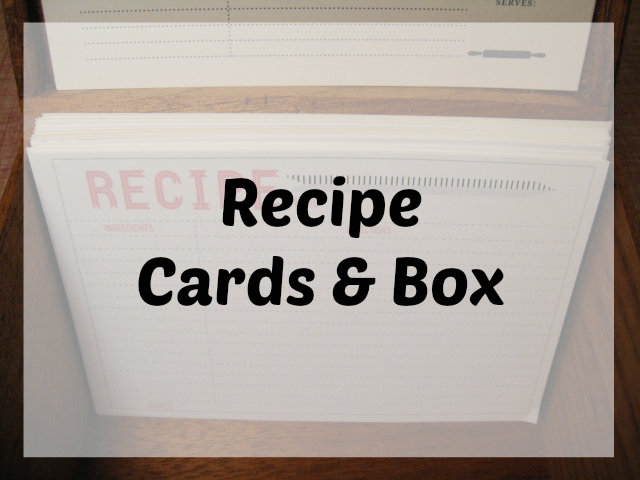 I realized that 4x6 note cards weren't "pretty" enough for my favorite recipes, so I went to pinterest to find some free printable recipe cards. I printed off a few different kinds, cut them out, and glued them to the 4x6 cards to give them some weight. 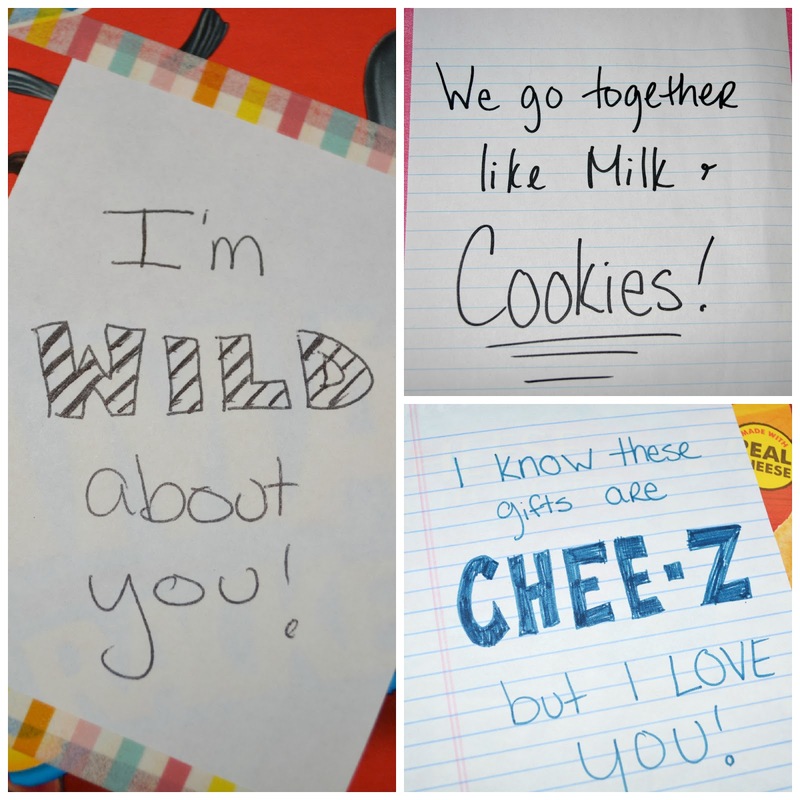 You could also just print any recipe card printable on card stock! Voila! Recipe cards for my favorite recipes! 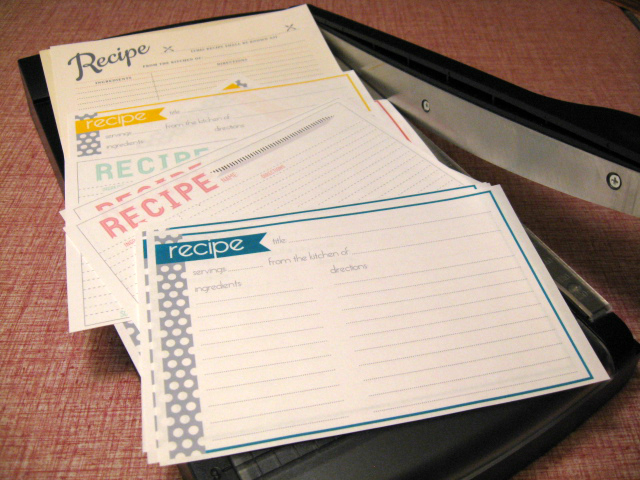 Now when I find a recipe I like, I will just write it on the card and I won't have to print anything off or cut it off a box! How do you organize your recipes? 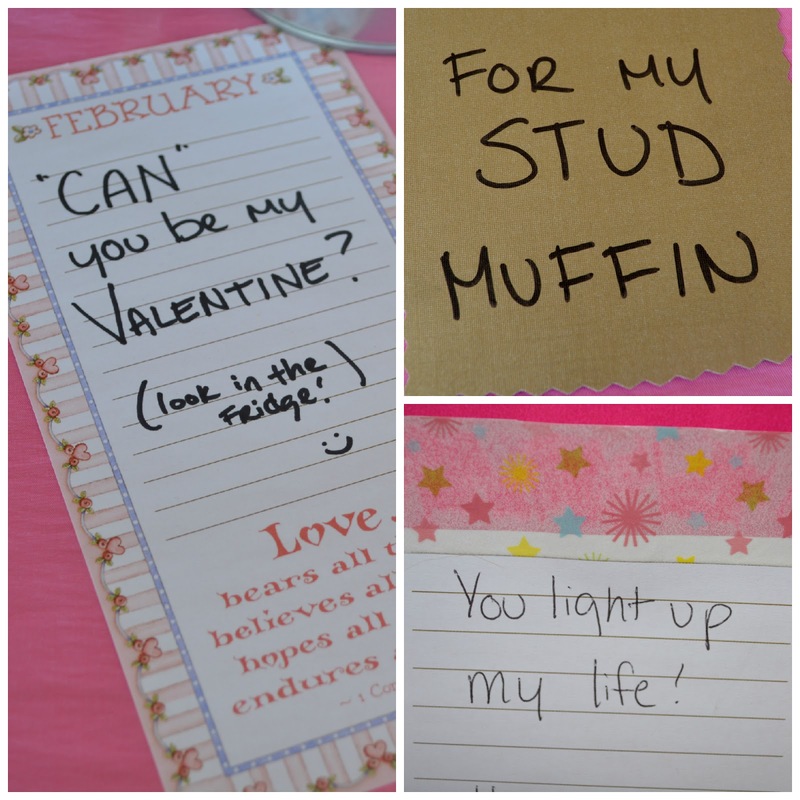 Do you use pinterest or do you like ol' fashioned paper?